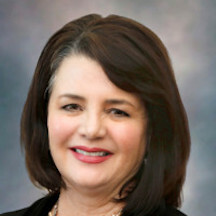 Leslie Kraut, who has worked as a deputy county counsel for SLO County for the last 20 years, will replace Tim Covello as a court commissioner. Covello will take the bench as a judge in January following his victory in a judicial election earlier this year. As a commissioner, Kraut will preside over calendars that include traffic court, small claims court, juvenile drug court, family treatment court and juvenile truancy. Additionally, Kraut will handle habeas corpus petitions and other matters assigned to her. Kraut moved to San Luis Obispo County two decades ago after having served as a prosecutor for the Ventura County District Attorney’s Office. Kraut is a San Diego native who graduated from UC Santa Barbara and has a law degree from the University of San Diego. As deputy county counsel, Kraut has advised and/or represented San Luis Obispo County’s public guardian, grand jury, social services department, district attorney’s office and child support services. She has successfully litigated more than 200 writs and appeals in the California Court of Appeal, Second District, Division Six. Much of the litigation involved cases of child abuse and neglect and conservatorship matters. Kraut will begin serving as a court commissioner on Jan. 7, 2019.